Unlike most self storage companies in Cardiff and Bridgend, we offer a set price with no hidden charges – what you see is what you get. And the price you pay even includes contents insurance, van and forklift hire, and 24-hour access. 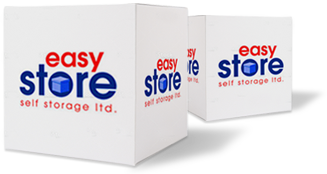 That’s why we’re Easystore! We’re a pretty friendly bunch, so why not give us a call to discuss your requirements, and we’d be delighted to offer you the very best price option possible. There are two options for you with regards to getting a quote. Or, use the contact form below and we’ll get back to you as soon as possible (fields marked with a * are mandatory). So, where are your self storage prices? There are three simple reasons why we don’t put prices online. There are different costs involved for commercial and domestic storages due to variances in usage.